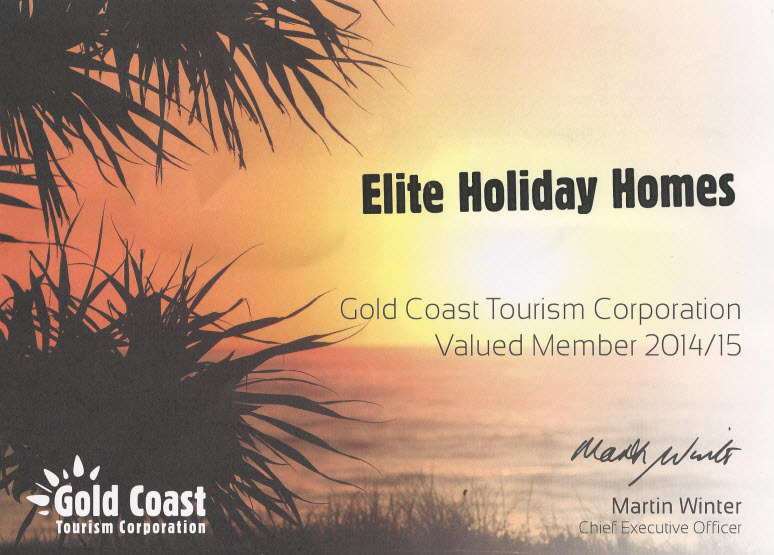 Elite Holiday Homes is now a member of the Gold Coast Tourism Corporation. It’s a group of tourism businesses who are absolutely dedicated to providing the highest possible standard for their guests. We’re really proud to have our homes in such a fantastic holiday destination. Get Notified of Specials Before Anyone Else! Have a question? Send us a message or give us a call. Copyright © 2019 Elite Holiday Homes. All Rights Reserved.